At the end of this year, my family and I will be visiting Puerto Vallarta, which will make it my umteenth time enjoying this beautiful and safe city. In fact, just thinking about visiting Vallarta, I am nostalgic for my home away from home, as there are so many things to do in addition to just taking time to relax. Located on the gorgeous Banderas Bay, surrounded by 40-kilometers of mountains, rivers, coastline and beaches, the ever quaint and charming city of Puerto Vallarta is home to Jalisco natives, local and international residents, Canadian and U.S. expats and retirees who now call the destination home. Huichol Indians also inhabit the surrounding areas as well. “Framed by the Sierra Madre and the Bay of Banderas, Puerto Vallarta provides all kinds of ecosystems and settings for adventure,” said Puerto Vallarta Tourism Board when asked why the city is such a desirable destination for outdoor activity. “We have everything a visitor could want, from zip lining in Mexico’s longest line to ATV to swimming with the dolphins to releasing crocodiles and turtles and mountain climbing. Puerto Vallarta is also one of the most important places in Latin America for biodiversity, because it protects an impressive number of species – both flora and fauna on land and in the sea. No matter what your interests, this impressive and colorful city lays its welcome mat for all to enjoy. The following 16 recommendations below are experiences or activities I suggest as a frequent traveler to Puerto Vallarta (even though there are hundreds of cool things to do). 1. Visit the famous and iconic Cathedral of Our Lady of Guadalupe. Located in downtown (or el Centro), you can’t miss this gem in the heart of Vallarta. Our friends at Vallarta Lifestyles give a beautiful description of the church here. What is very cool to see are the locals who always show respect when they pass by with the sign of the cross. 2. See a performance at Vallarta’s Theatre, El Teatro Vallarta. A modern building, this impressive artistic space opened its doors in March 2010 and holds a capacity of approximately 900 people, offering spectacular stage productions including the Russian State Ballet, the world-renowned Filippa Giordano pop opera singer, and the must-see Fandango extravaganza. The theater also houses an exceptional modern art gallery featuring some of Mexico’s most up-and-coming talent. 3. Walk the new Malecon. Completed just in time for Tianguis Turistico (Mexico’s largest annual travel and trade show), this promenade offers the perfect platform for taking in the sites, sounds and tantalizing aromas of the local scene. On Sunday evenings, you will find musicians, artists, local vendors selling all types of food, merchandise, bundles of balloons and fun souvenirs for kids. See the street performers show off their skills as well. 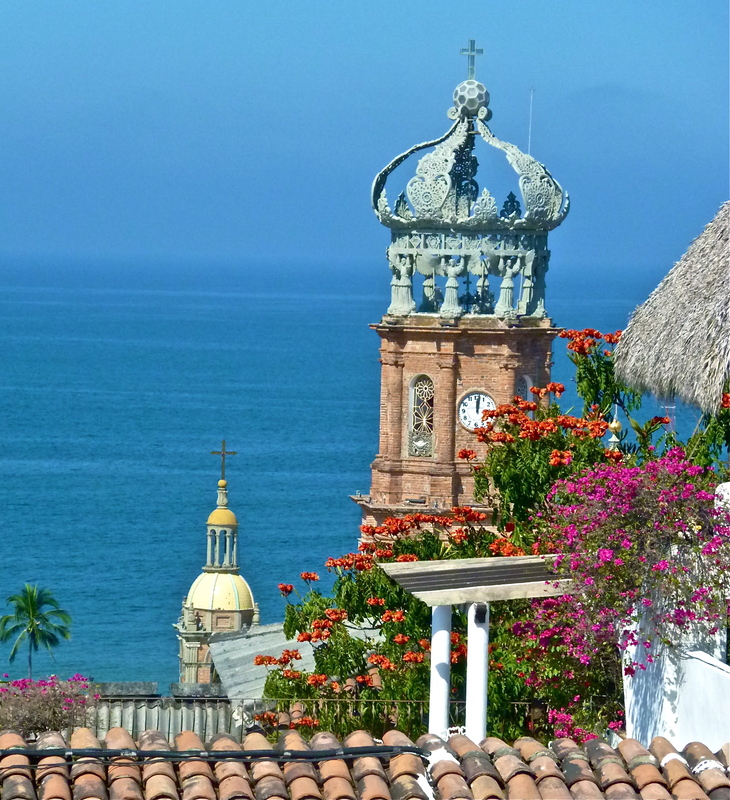 (Top 3 must-do/must see according to Puerto Vallarta Tourism Board). 4. Take a surf or stand up paddle board (SUP) lesson. Although I have yet to try this myself, I have friends in the area north of Vallarta who do this frequently. On a visit last year, on a drive along coast out to Punta Mita, I witnessed many SUPers enjoying life out in the ocean. 5. 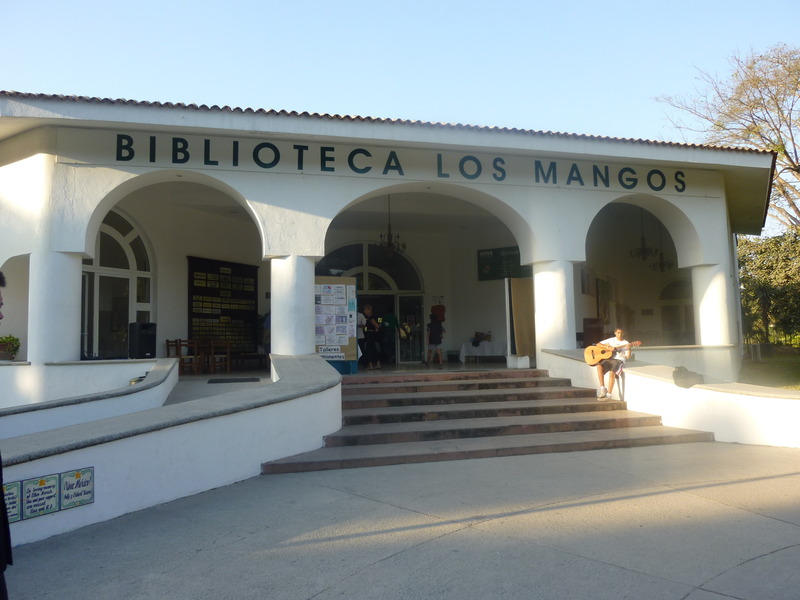 Visit Los Mangos Library (Biblioteca Los Mangos). 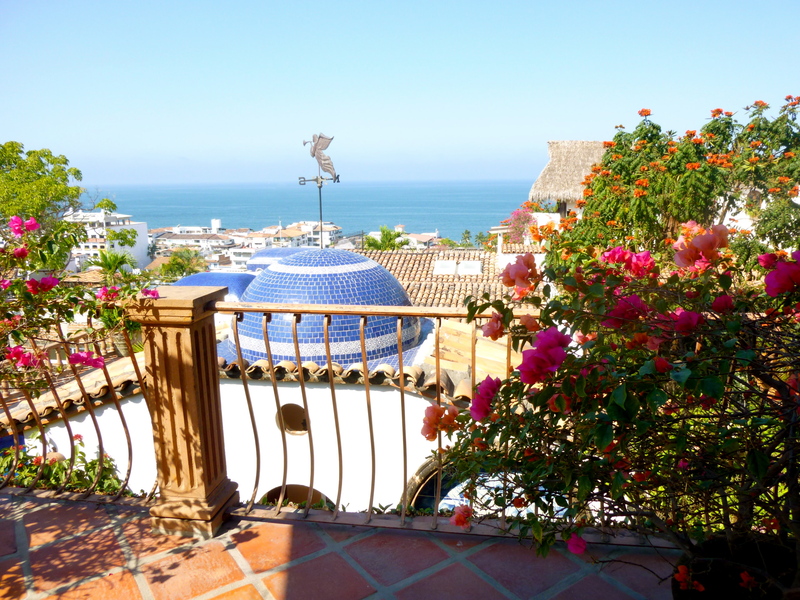 Thankfully, I learned about this hidden little gem in Puerto Vallarta one year ago from friends in the Puerto Vallarta Writers Group when I was asked to speak about travel blogging at their annual conference held at Los Mangos. This beautifully landscaped, peaceful and resourceful community cultural center / library provides book lending in English and Spanish and holds classes for kids to adults, including art, yoga, language, dance, theatre, reading, computer access and much more. 6. Volunteer for the day with PEACE Mexico. PEACE (Protection & Education: Animals, Culture, and Environment) is a nonprofit organization working in the Bay of Banderas, Mexico and beyond to increase educational and economic opportunities through community development programs in the areas of education, environment, animal health, and economic development. 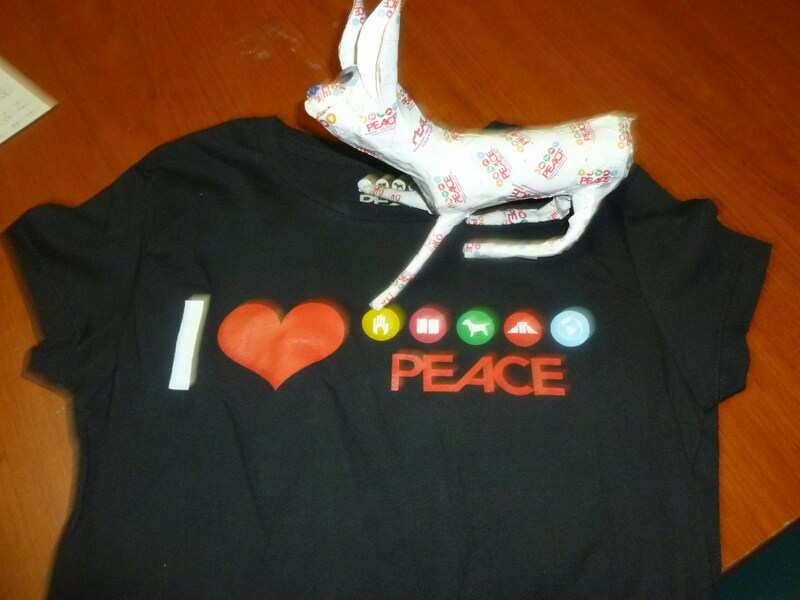 PEACE offers many volunteer opportunities, as well as internships. A great way to give back to the local community. 7. Whale watching in Puerto Vallarta. Recently named one of Trip Advisor’s Top 10 Great Tours by Nature. 8. Turtle release – witness or participate in the spectacular turtle release program. Many hotels have special agendas for guests to enrich their experience during the turtle-hatching season. This activity made The MEXICO Report’s ‘Mexico Bucket List’ as well. 9. Visit Los Arcos and Los Muertos Beach (Top 3 must-do/must see according to Puerto Vallarta Tourism Board). 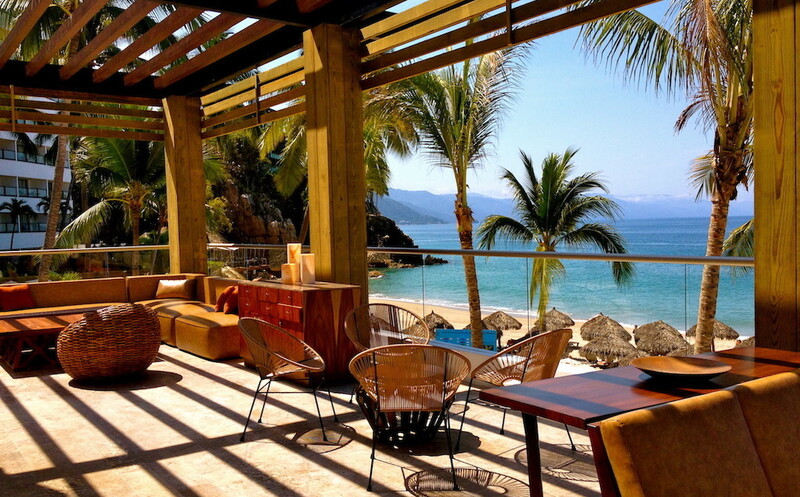 I am a fan of Playa Los Muertos, especially for the fresh fish tacos, great music and lively beach scene. 10. Experience the ‘Romantic Zone’ – at top three must-do/must see experiences according to Puerto Vallarta Tourism Board). 11. Walking Tour of Puerto Vallarta. Recently Travel Age West published a fantastic piece on this great way to get to know the hidden spots of this charming city. 12. 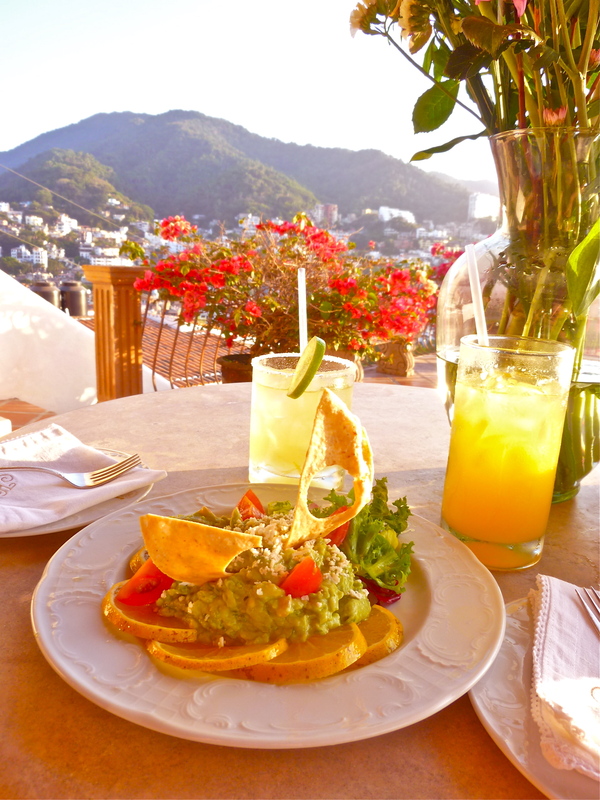 Eat out and Dine around – Basilio Badillo, known as Restaurant Row in Viejo Vallarta, offers a fabulous and varied selection of gastronomy to satisfy any palate. Don’t miss the Festival Gourmet International Puerto Vallarta / Riviera Nayara November 8-18, 2012. 13. Waterfall hike in Yelapa – Take a panga (water taxi) from Boca (taxi or bus to Boca de Tomatlan) to Yelapa to experience this memorable adventure. These final activities are the top three out-of-the-ordinary experiences to put on all travel itineraries, recommended by the Puerto Vallarta Tourism Board. 14. Extreme Adventure Zip Lining. I have yet to try this but I’ve put it on the agenda for our upcoming trip to Puerto Vallarta. Just to be sure, I checked out the comments on TripAdvisor and I was happy to see that the section is filled to the rim with positive feedback. 15. Swim with the dolphins. We participated in this activity four years ago when we were last in Puerto Vallarta for a family vacation, except our activity was the dolphin excursion where it’s simply a session in the water with the dolphin, which worked out perfectly because of children’s ages at the time. We all loved it! 16. The New Eco Adventure. From bird watching and sea kayaking to Macaw Conservation trips and Crocodile Adventures, Puerto Vallarta offers some type of eco-adventure for all. “Visitors to Puerto Vallarta will find a Mexican pueblo that has become a cosmopolitan destination but maintains its heritage,” said the Puerto Vallarta Tourism Board. Depending on what time of the year you plan on traveling to Puerto Vallarta, be sure to check local event calendars to explore other exciting opportunities including annual gourmet festivals, fishing or golf tournaments, sailing races and especially the Annual International Festival of Altruism, hosted by CasaMagna Marriott Puerto Vallarta Resort & Spa each May where dozens of non profits come together to generate much-needed funds for their organizations. This piece was originally published for Mexico Today. #13. You can also take the water taxi from Los Muertos Beach Pier (pronounced Moy-e). If you take a cab, tell them Los Muertos beach. There the Yelapa water taxi guys will sell you the tix and give you info.